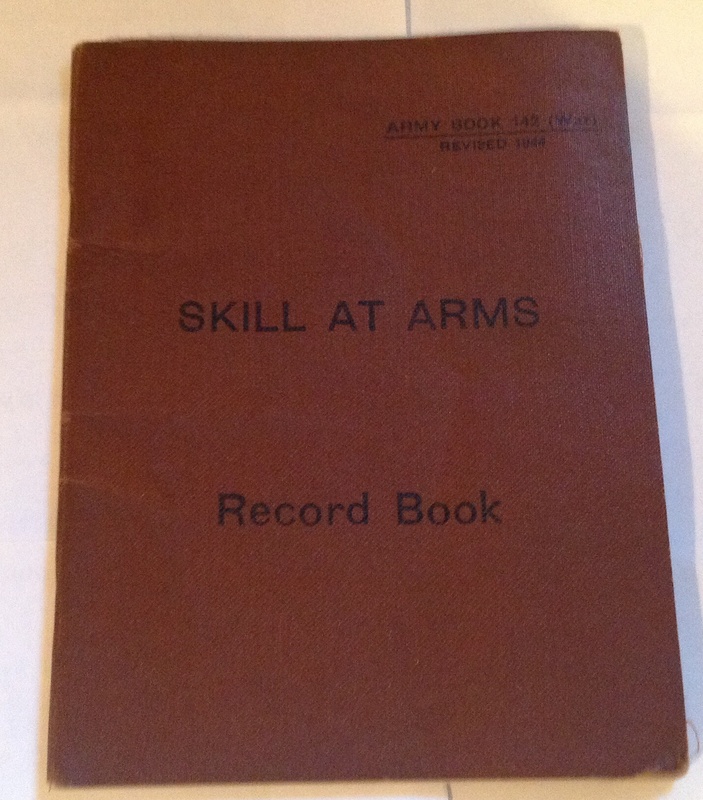 One of the most informative documents on an individual soldier is his AB64 book. 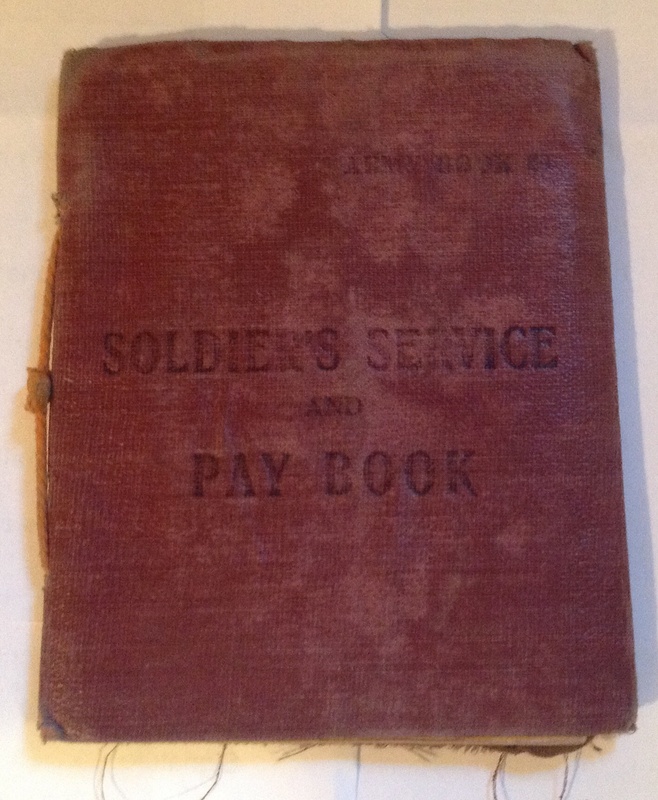 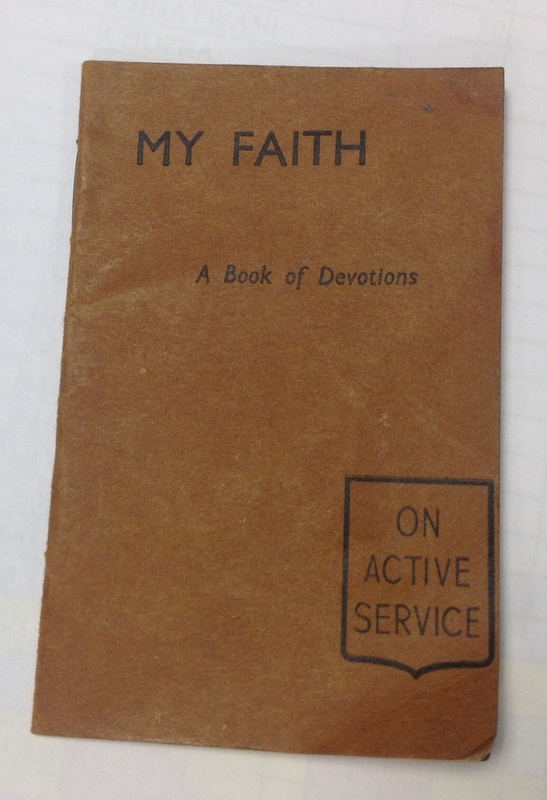 This little russet brown book recorded the soldier’s personal details, the courses he had been on and his medical and leave history. 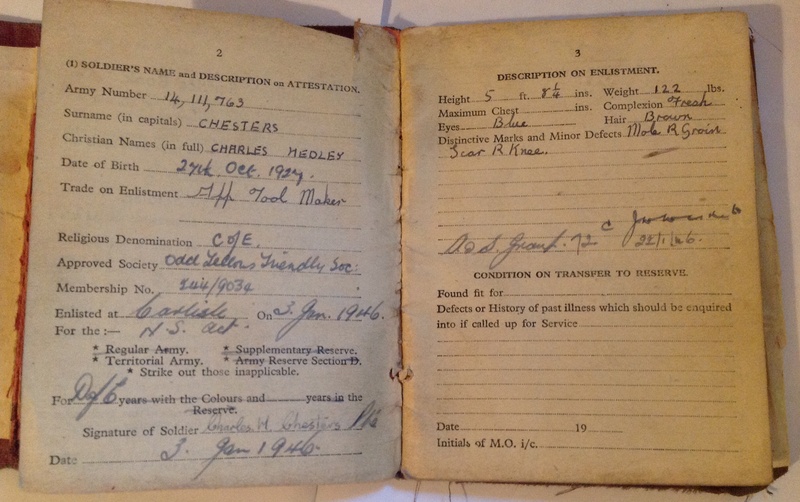 As you might expect, with this sort of information you can start to build up a picture of an individual’s military career. 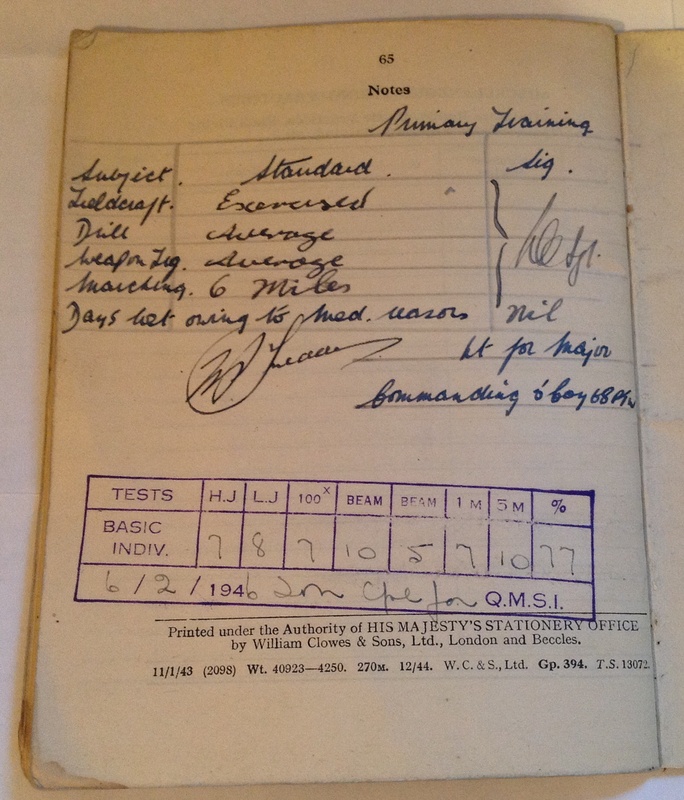 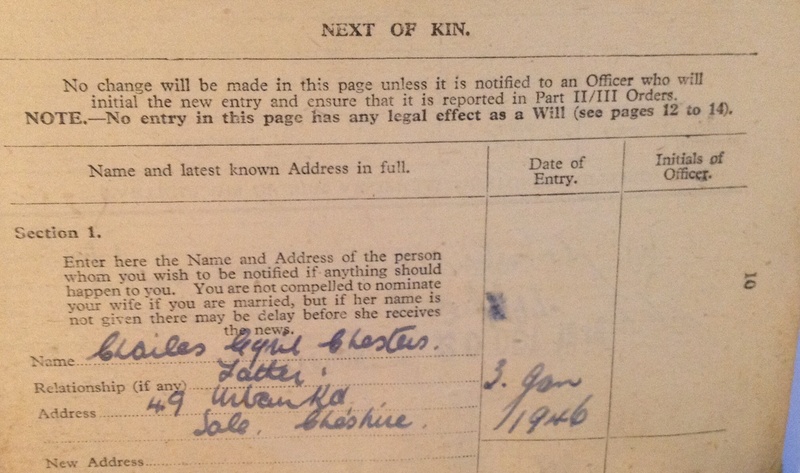 Tonight we are looking at a set of three documents all relating to a single soldier; Charles Chesters. 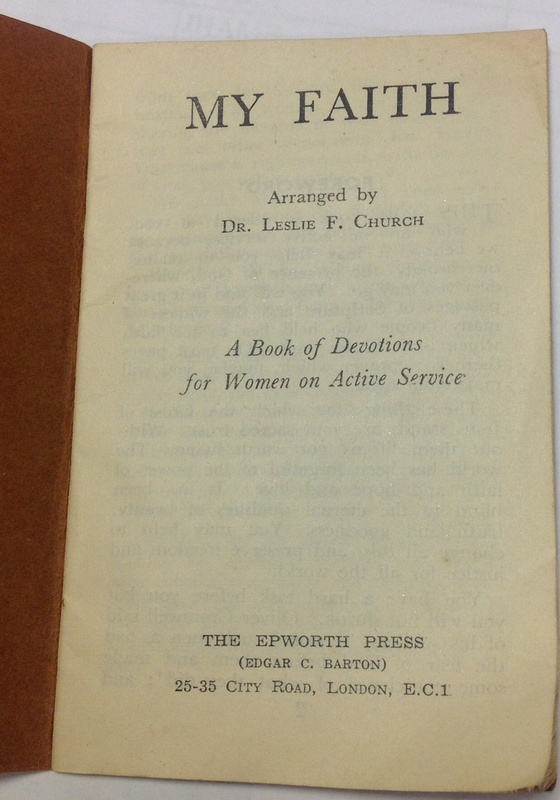 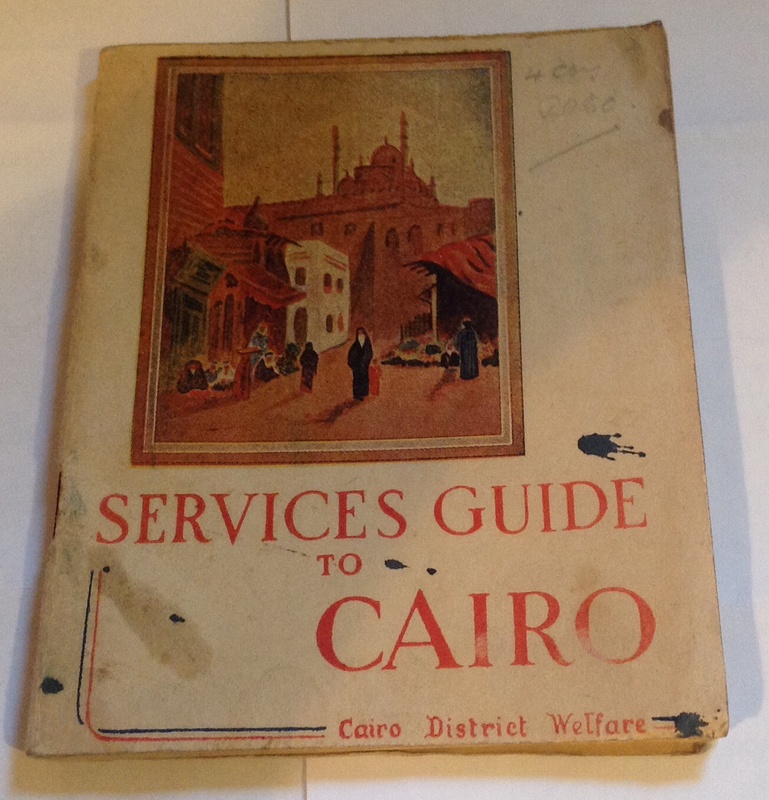 In the same batch of documents was this guide to Cairo, presumably bought by Dvr Chesters whilst he was deployed overseas: It lists useful information for troops like services welfare clubs, times of sightseeing tours, trams and out of bounds areas. 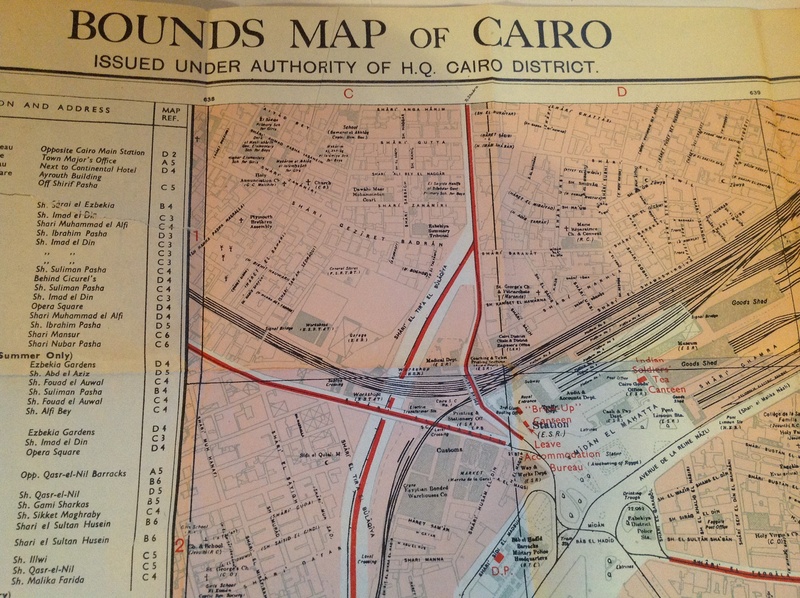 In the back is a fold out map of the city: As can be seen a picture of Dvr Chesters and his military career can be picked up from these documents and is a good springboard for further research. 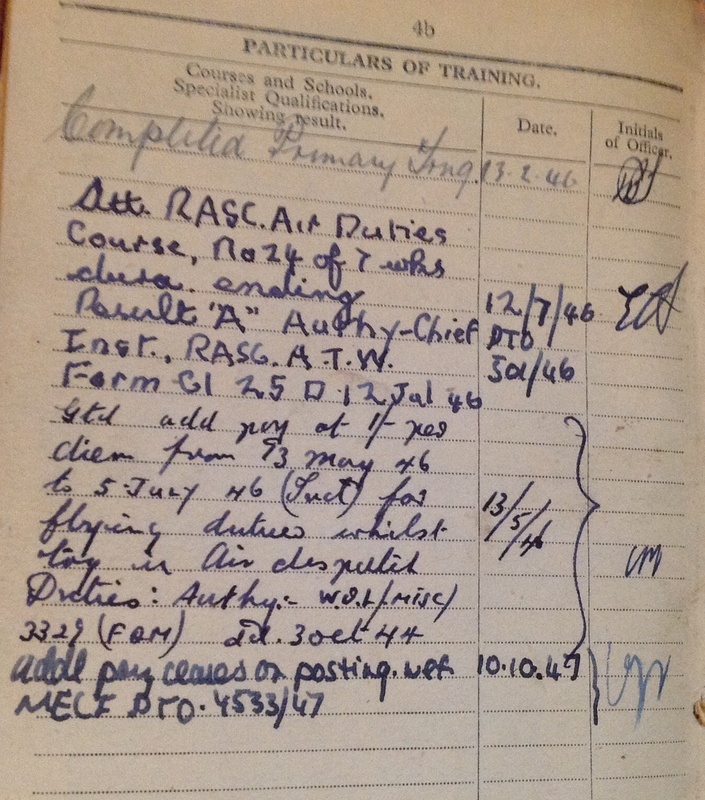 This entry was posted in AB64, Documents, Research and tagged Royal Army Service Corps Air Dispatcher on June 29, 2014 by hatchfive. 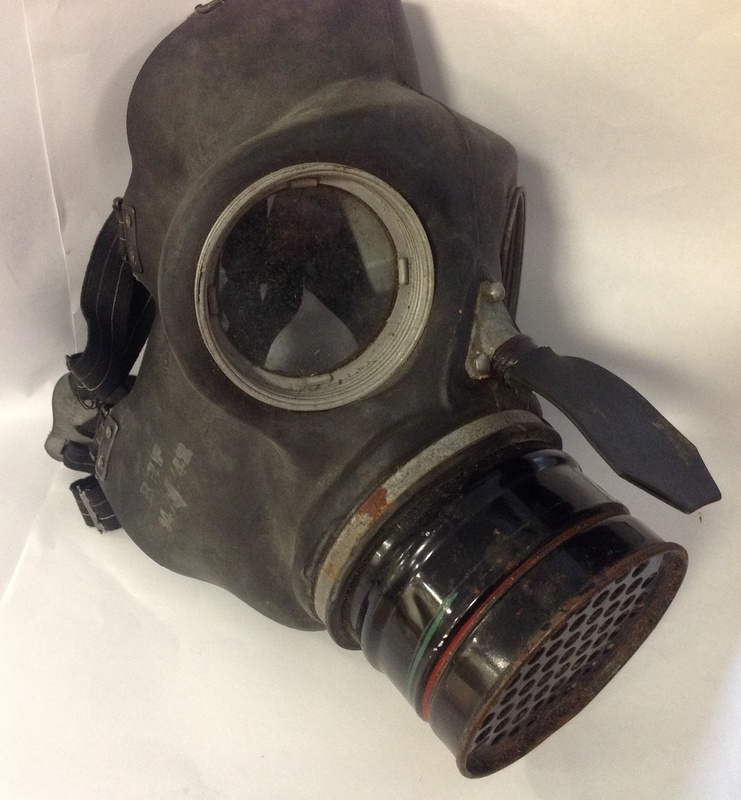 This gas mask was produced for civilians who needed better protection from gas than the ordinary civilian mask could provide. 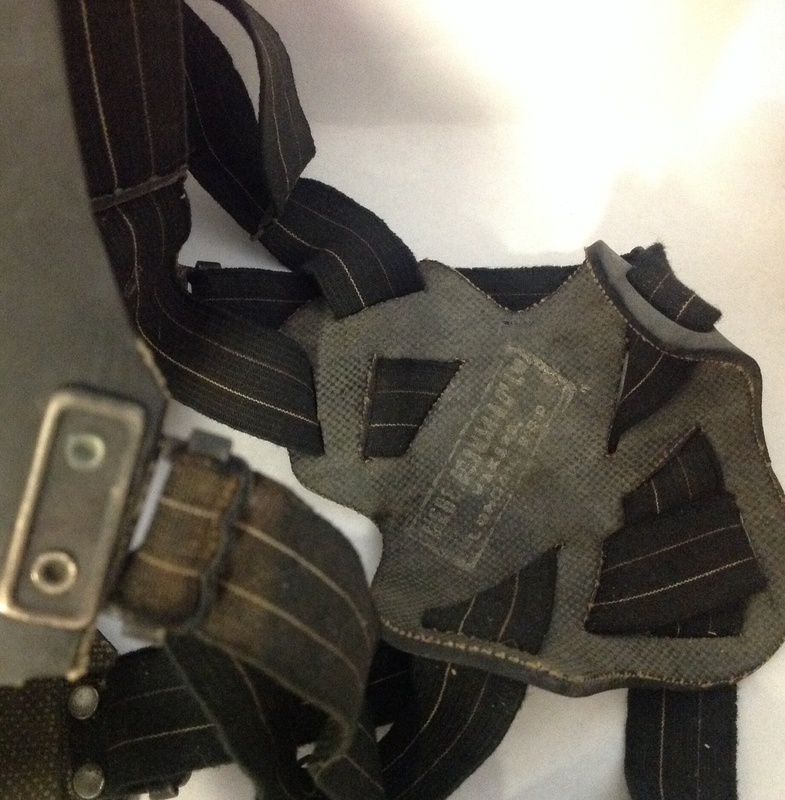 It was worn by civilian services such as ARP, ambulance and hospital workers and others who might be expected to have to work in gas filled areas for a length of time. 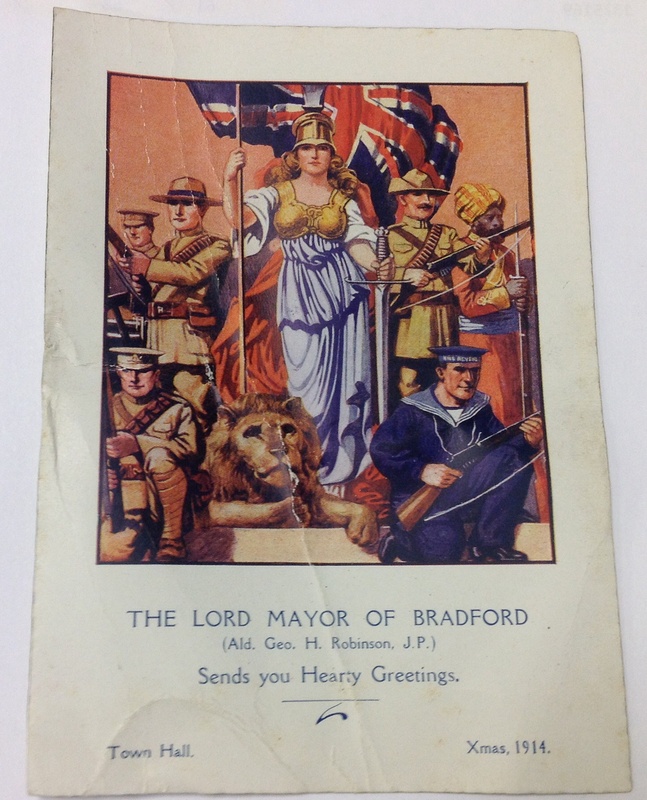 This christmas card is an example of the many thousands sent out by municipal councils, churches and other public bodies at the start of the Great War. 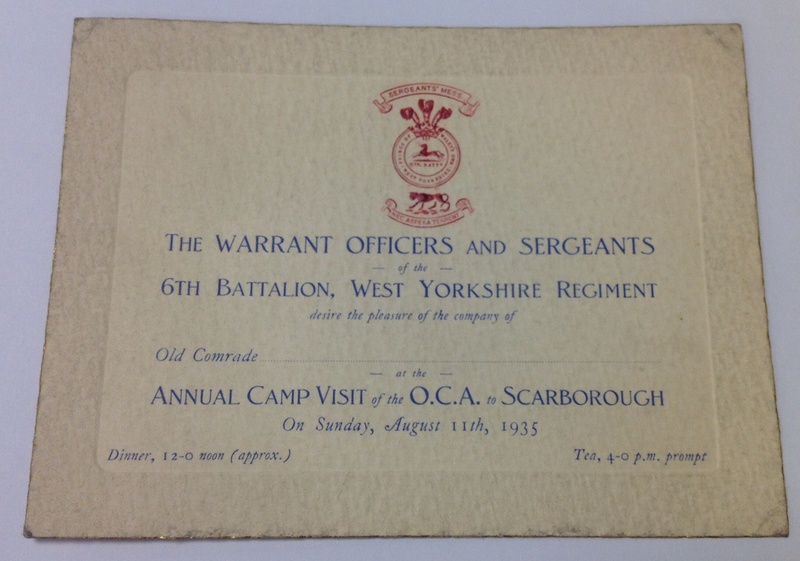 This card was sent by the Warrant Officers and Sergeants of the 6th Battallion West Yorkshire Regiments to invite Old Comrades to Dinner and Tea at the battalion’s annual camp in Scarborough in 1935: As it came from the same source as the Christmas card one can assume that it was sent to the same HH Wright. 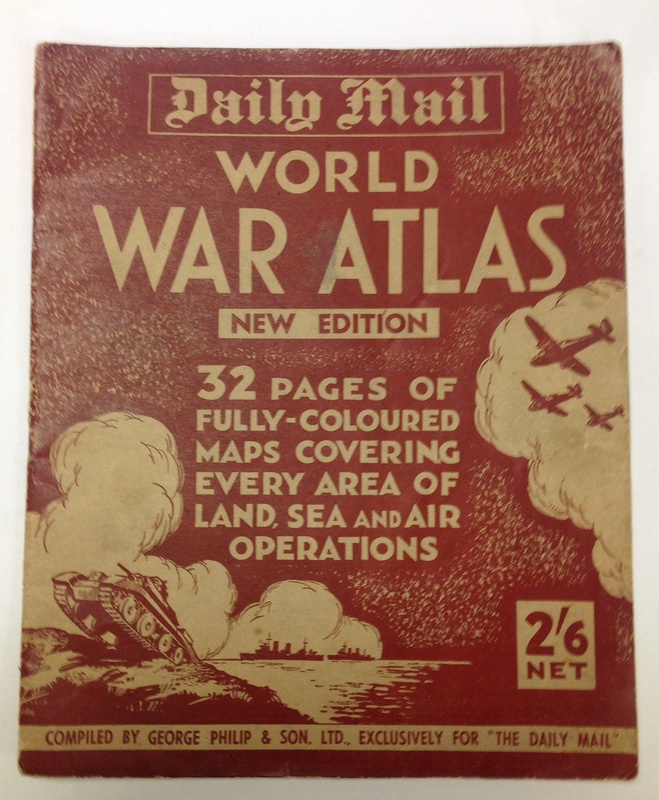 This little atlas was produced by the Daily Mail and sold to the public during WW2. 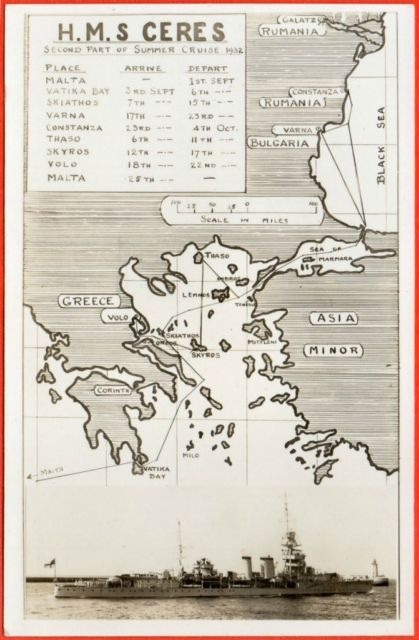 It shows the occupied countries of Europe and the allied and axis powers with their spheres of influence and once can imagine the armchair generals pouring over it to follow the ebb and flow of the conflict. 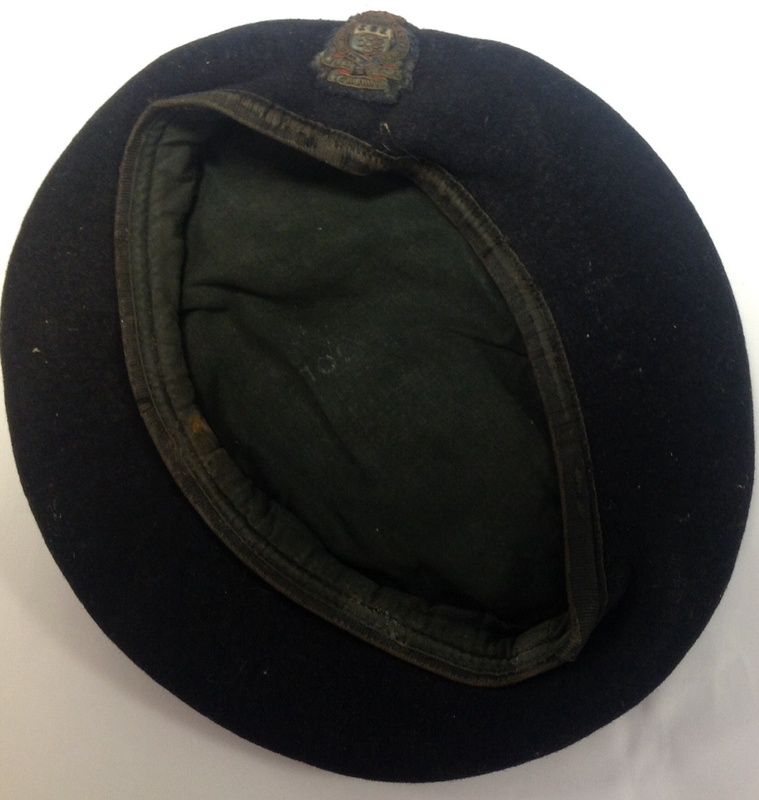 This rather sorry looking beret has a post war embroidered bullion badge for the Royal Army Ordnance Corps. 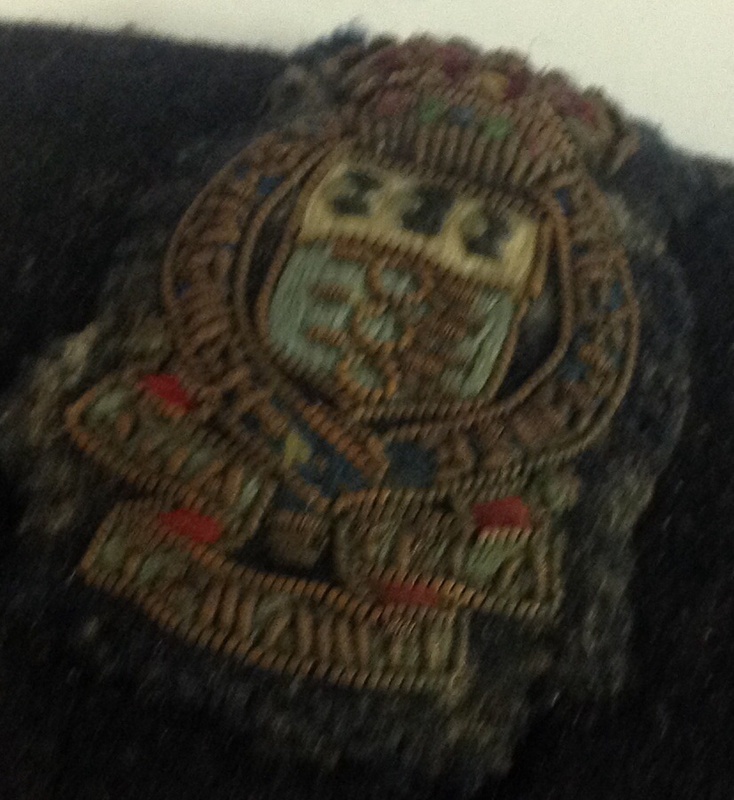 Probably originally purchased by an officer, you can tell post 1952 items by the style of crown on the badge. 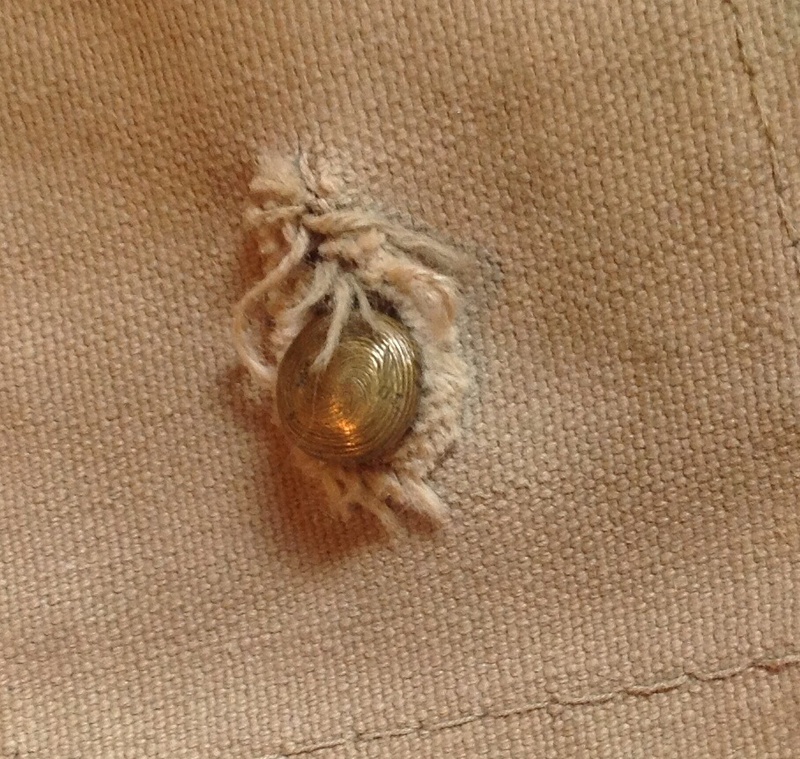 The larger and fuller Queen’s crown contrasts with the more compact King’s Crown used from 1901-1952. 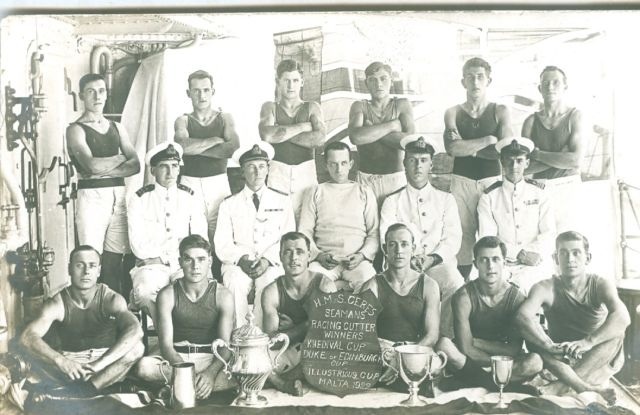 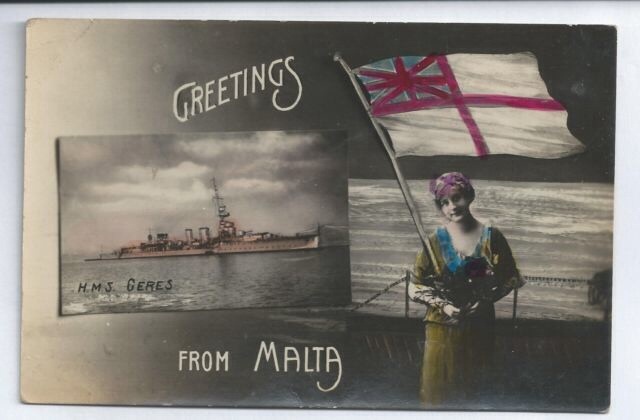 This entry was posted in Gas mask, Latest Pick Ups, postcard, WW1 and tagged Battallion West Yorkshire Regiments, Christmas Card, civilian services, Liebe Gorman on June 24, 2014 by hatchfive. 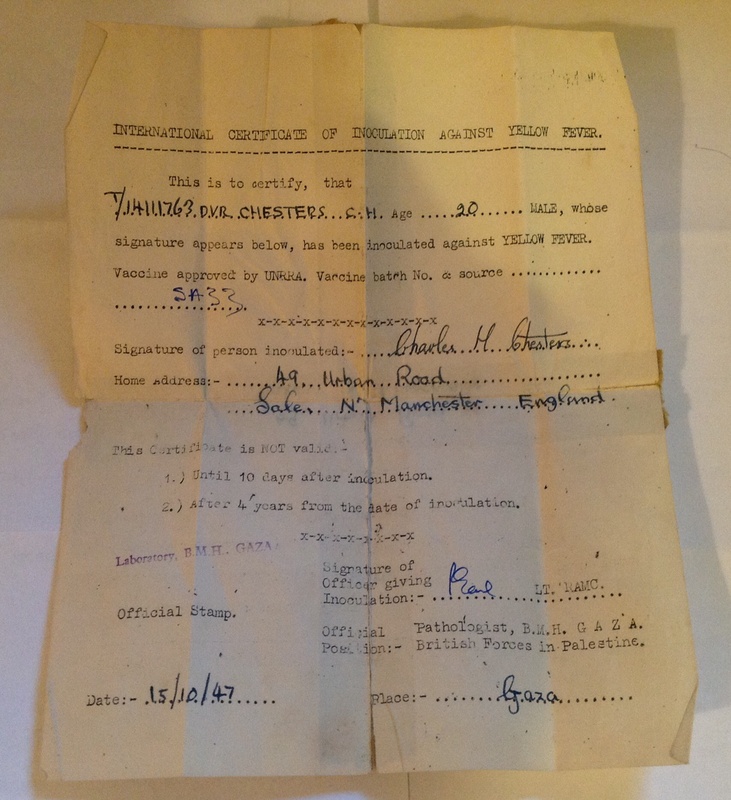 Following the horror of World War One, it is unsurprising that throughout the interwar period there was a widespread belief that gas would be widely used on the battlefield. 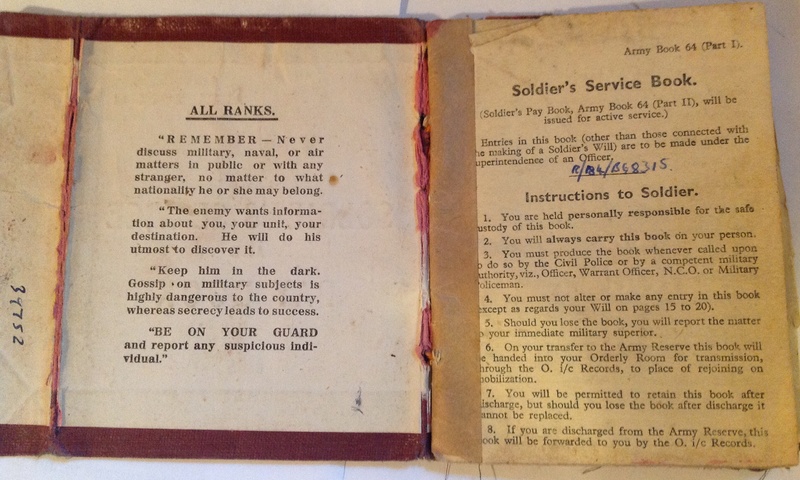 Although as dangerous to the operator as to the enemy, and of dubious tactical use, gas was a terrifying weapon, and to those brought up on stories of soldiers drowning in their own bodily fluids on the battlefield, it is easy to see why there was widespread fear. 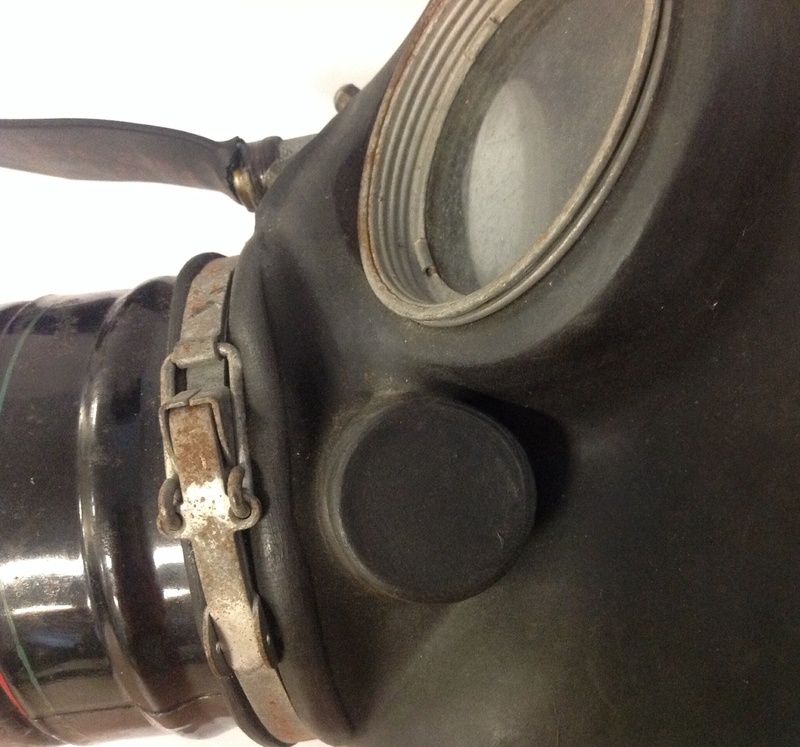 This entry was posted in Gas mask, India and tagged India on June 21, 2014 by hatchfive. 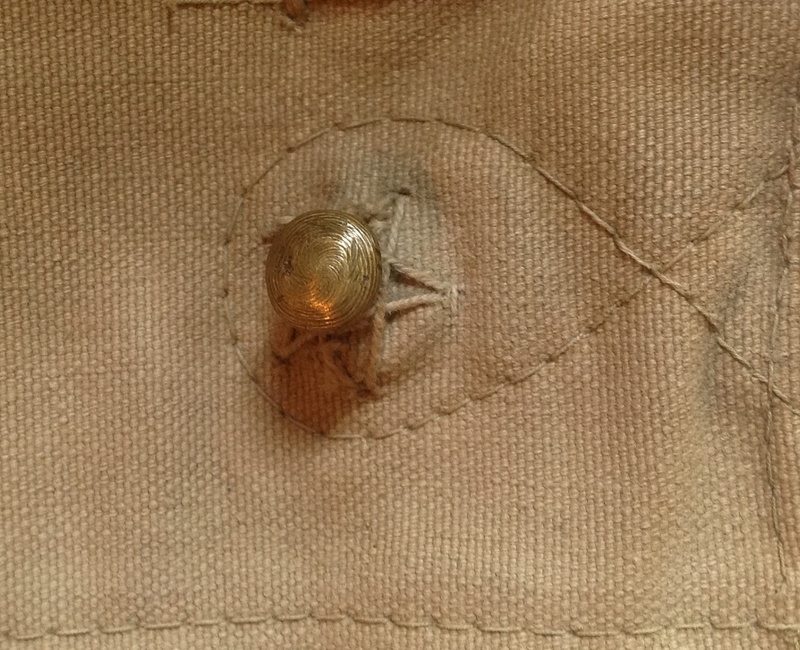 A few little bits today, one of them not strictly appropriate for a blog on British kit, but I hope you will indulge me. 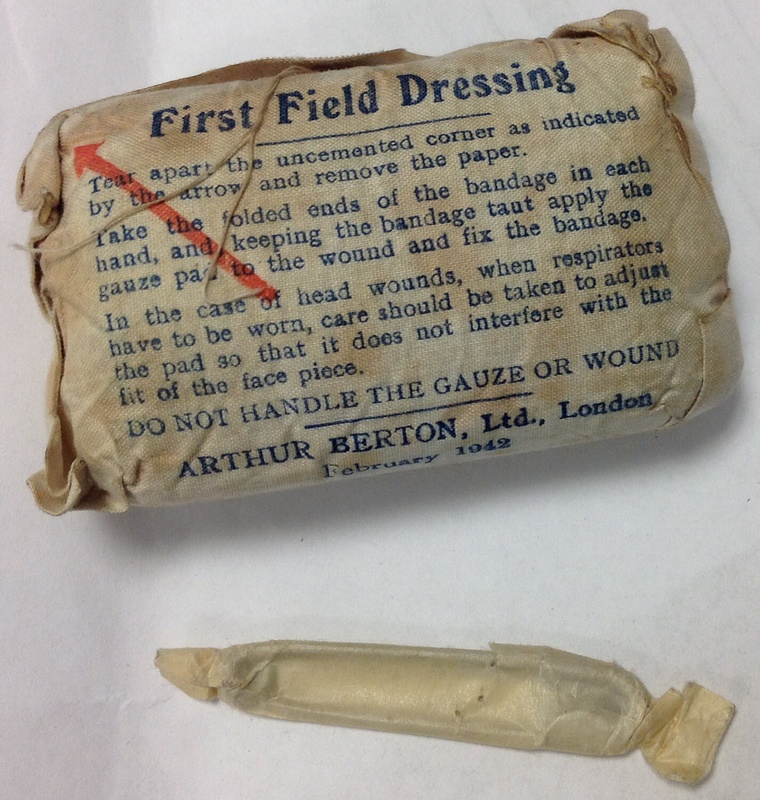 This example has an outer bag dated July 1941 and the inner bandages dated February 1943, suggesting that they were still using a batch of earlier wrappers when these were packaged. 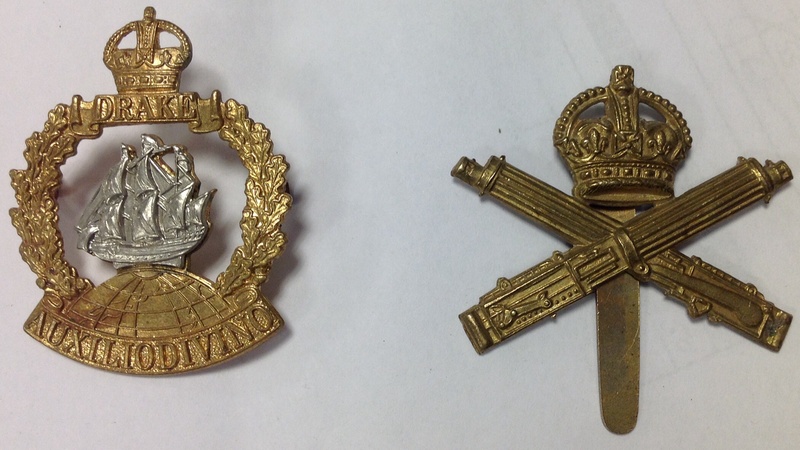 With these badges a few minutes searching on the web showed that the Drake cap badge was a fake as there should be a gap between ‘Auxilio’ and ‘Divino’ and there are insufficient lines of longitude. 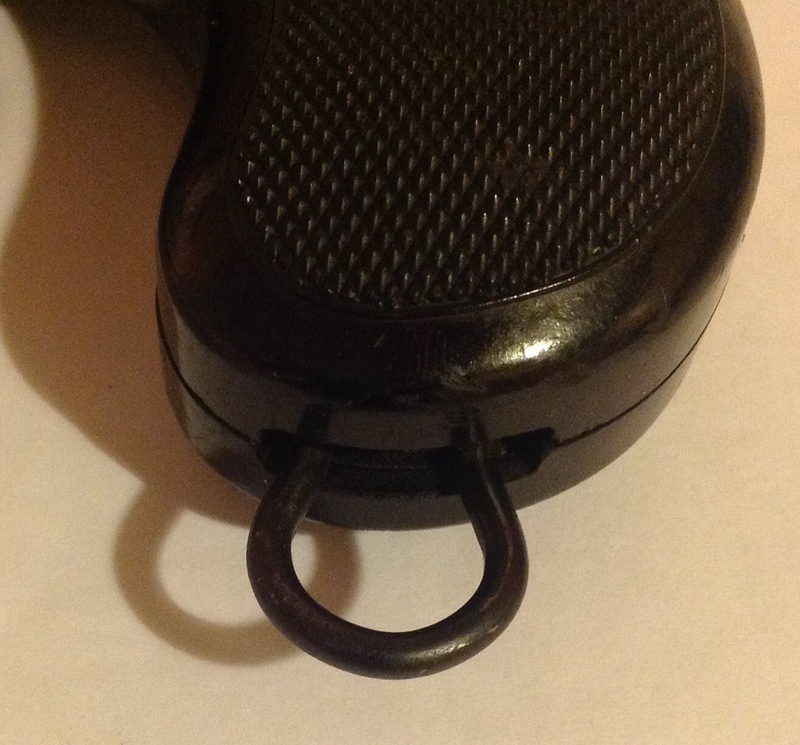 As these were only a couple of pounds each, I don’t mind they are repros and will do in my collection until I can find real ones at a price I want to pay. 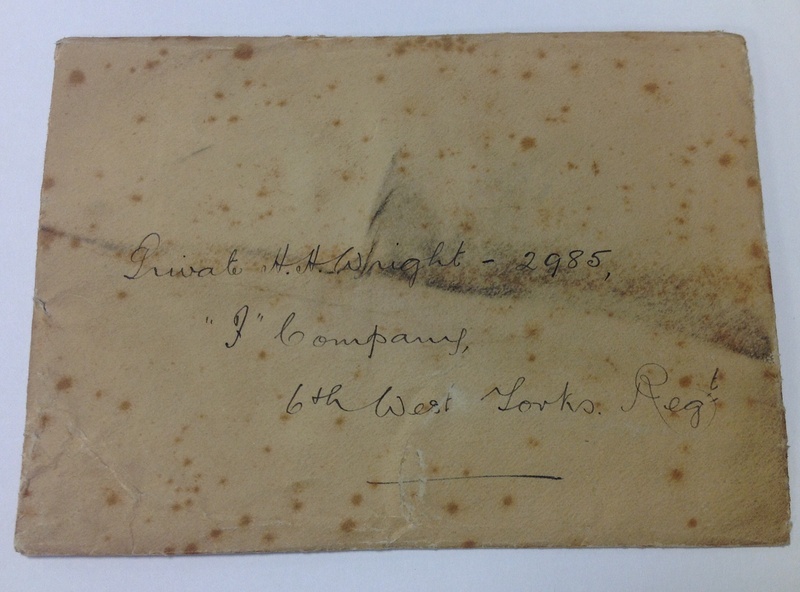 I don’t normally collect militaria from other nations outside the empire, but I do have a secret love of different camouflage patterns from around the world. 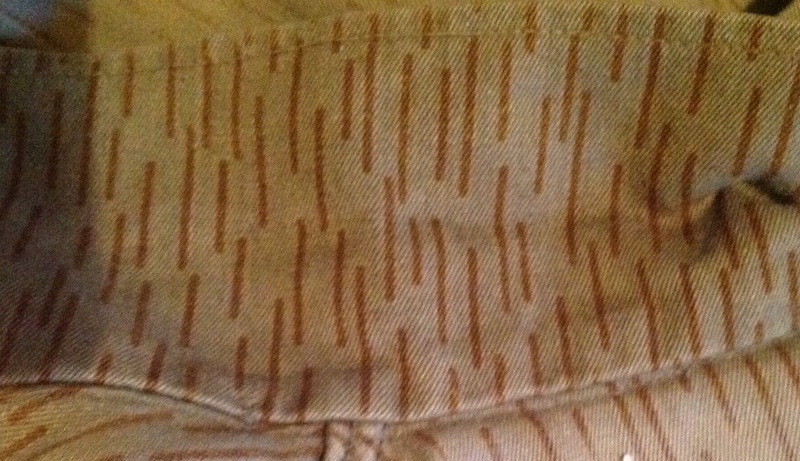 This jacket, though very faded, is an example of East German Strichtarn or raindrop/needle pattern camouflage: The camouflage uses a grey/brown cloth overprinted with small brown stripes, copied from Polish raindrop camo. 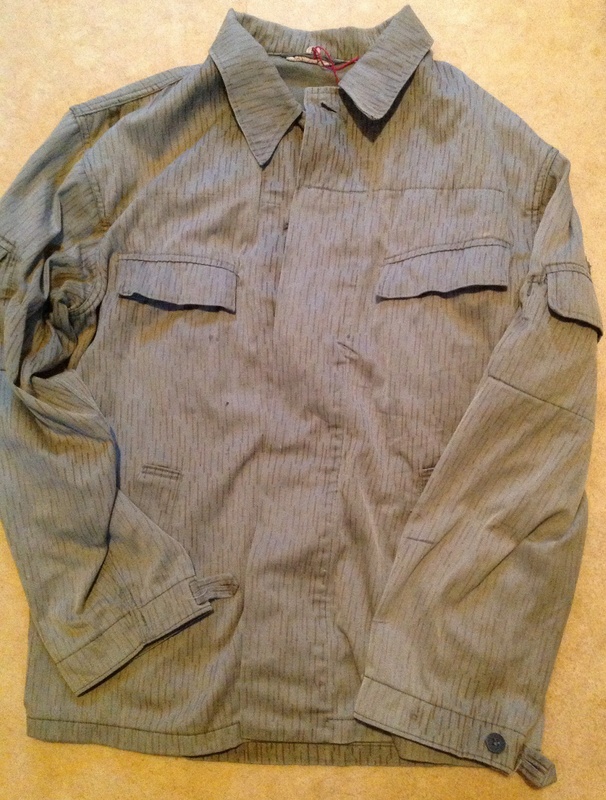 This particular design of camouflage was introduced in May 1965 and is a typical Eastern Block Cold War pattern. 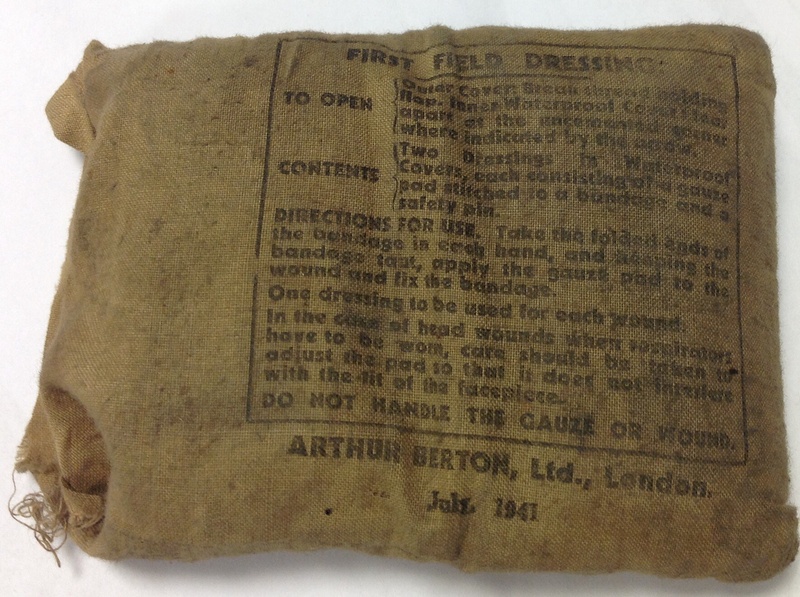 This entry was posted in Camouflage, Latest Pick Ups and tagged First Field Dressing, Machine Gun Corps on June 17, 2014 by hatchfive. 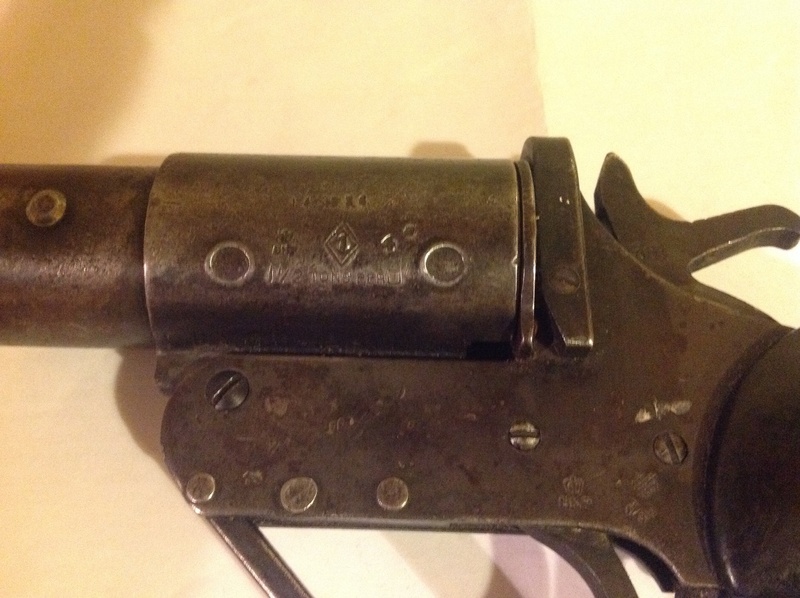 Tonight we have a British flare pistol. 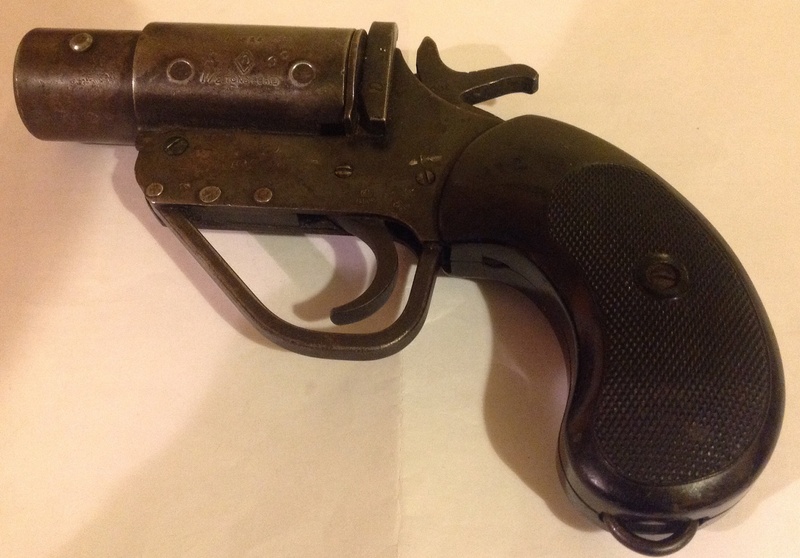 Flare pistols were invented by the American Edward Very at the end of the nineteenth century and were in widespread use by the First World War for both signalling distress and for basic communications on the battlefield. 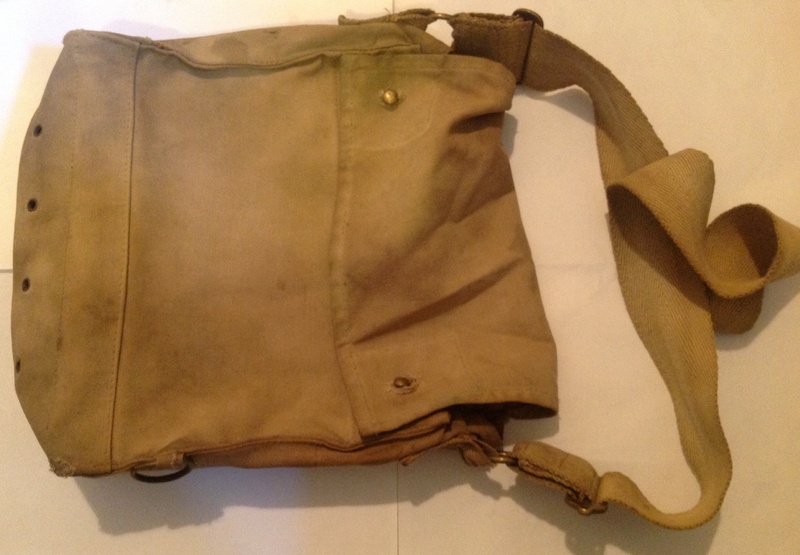 This example however dates from the Second World War and is a simple, reliable and utilitarian piece of equipment. 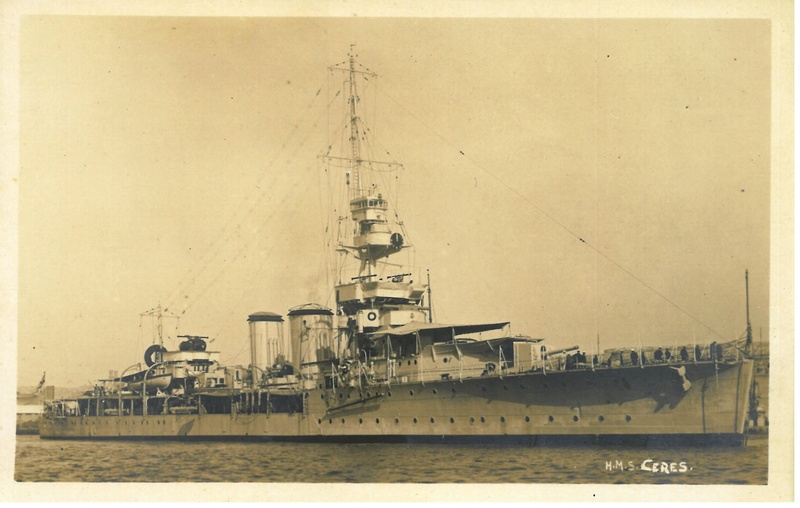 This entry was posted in Uncategorized and tagged basic communications, Berridge Ltd, pistol on June 15, 2014 by hatchfive. 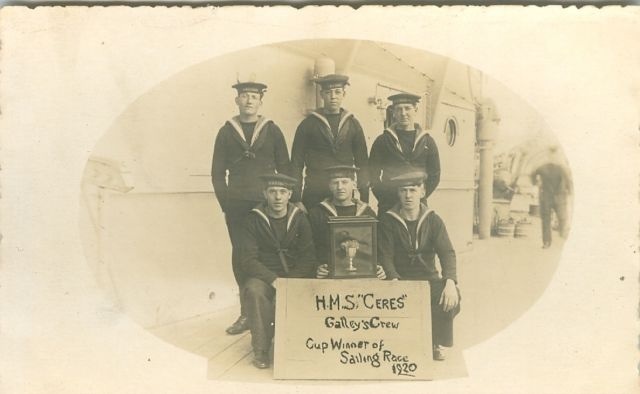 Military optics need to be as good as possible, whilst also being cheap enough to mass produce and robust enough to survive the battlefield. 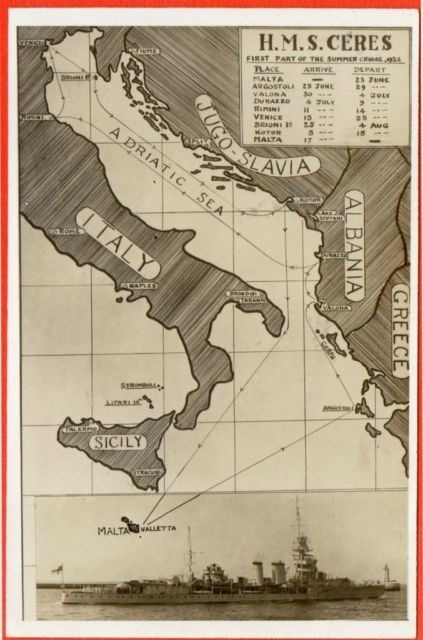 Throughout the twentieth century, the Germans had a well deserved reputation for producing the best lenses, binoculars, sights and telescopes. 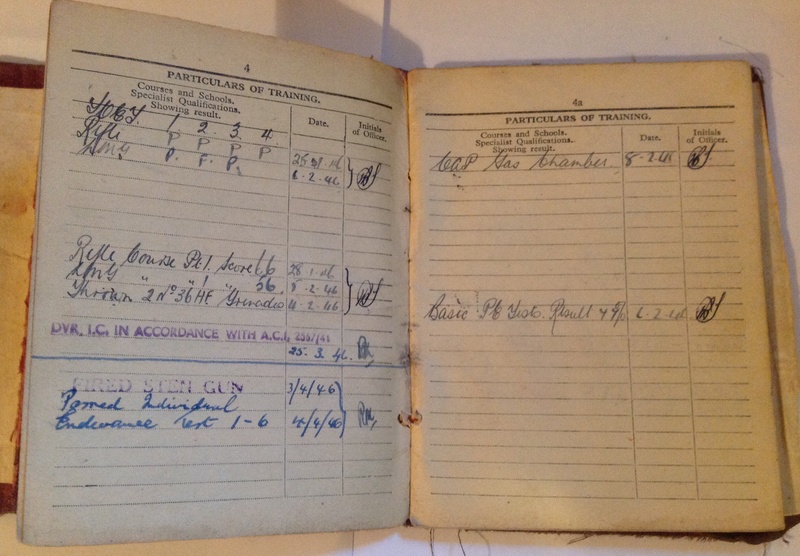 Despite this, British binoculars were perfectly respectable and came to be seen as a sign of an officer, alongside the revolver and Sam Browne belt. 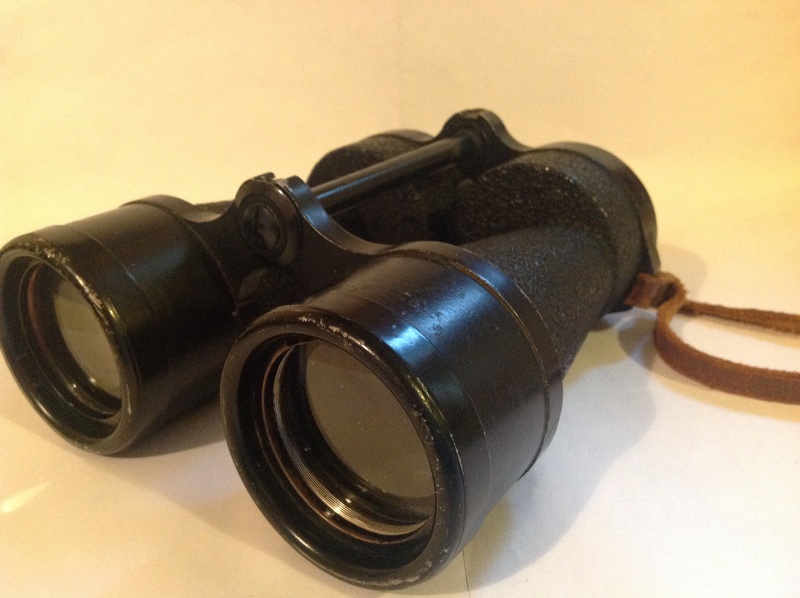 This pair of Binoculars were manufactured in 1944 for the British military and are larger than the typical x4 magnification binoculars routinely issued to all officers. 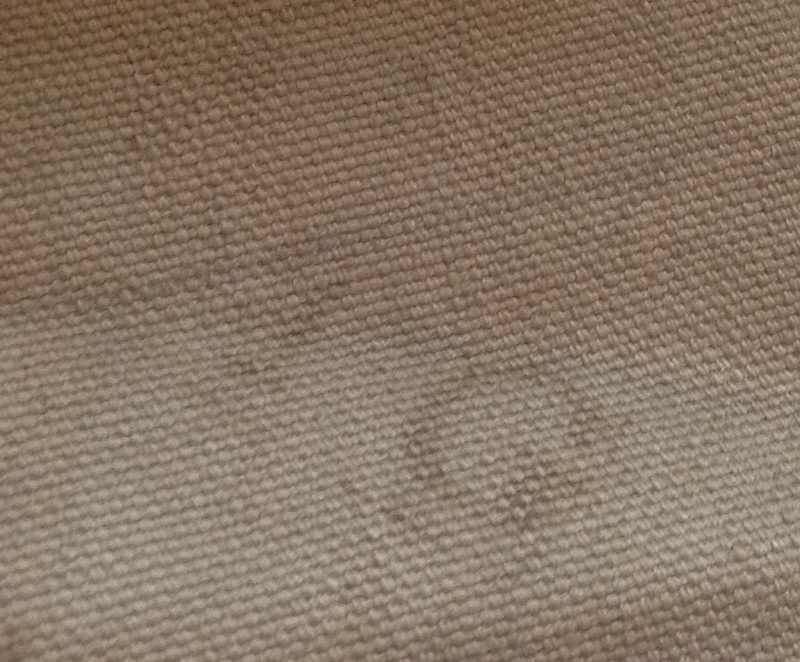 They are marked O.S. 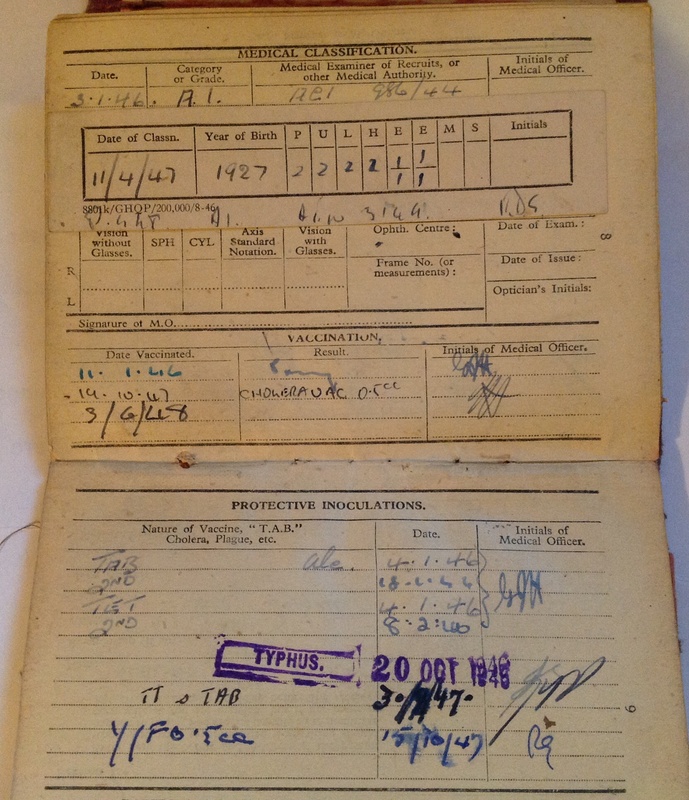 656 MA- this means they meet Optical Store drawing number 656 and were issued without a case. 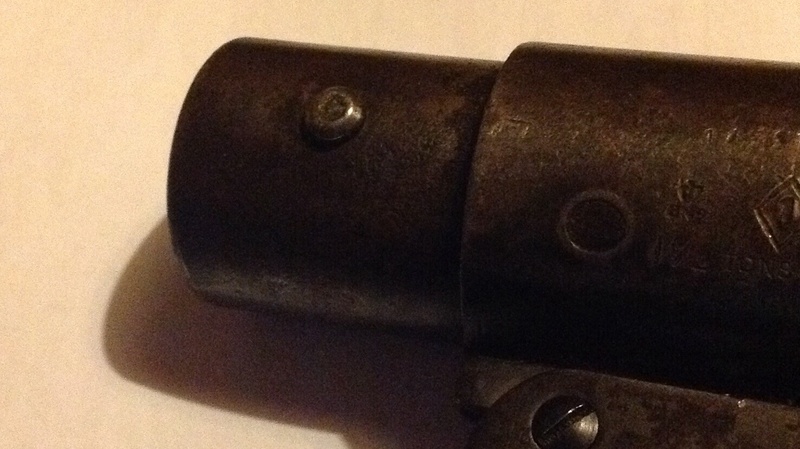 The prominent red screws were to allow dry air to be forced into the binoculars to reduce condensation and fungus. 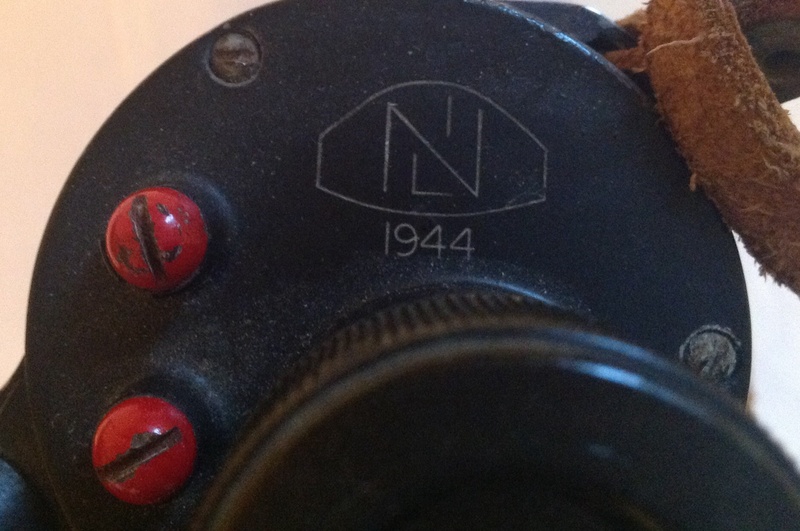 The binoculars are marked NIL for Nottingham Instruments Ltd, a shadow company set up by the Ministry of Supply, run from a former Players factory and controlled by the major optics firm of Ross. 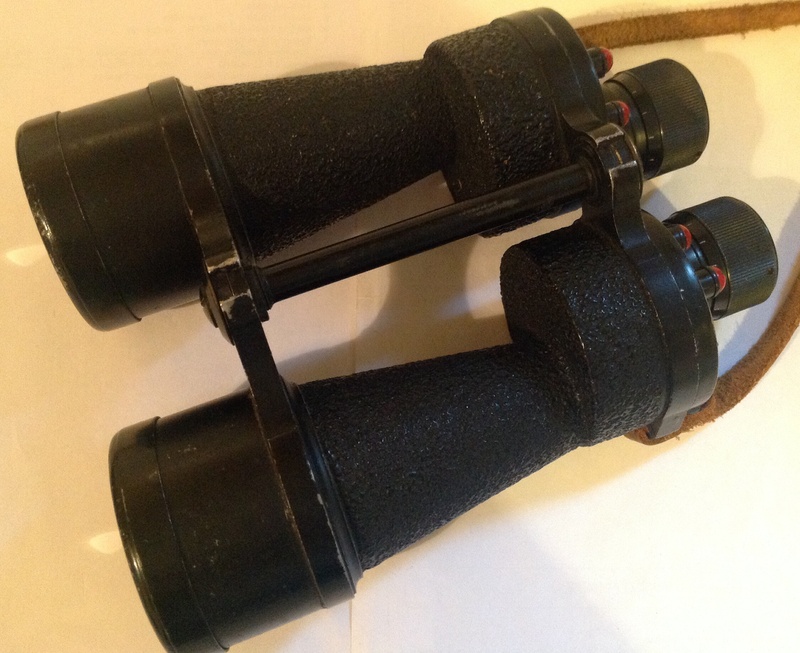 The optics on this pair of binoculars are still as good as the day they were made and despite their age they are still an excellent set of binoculars. 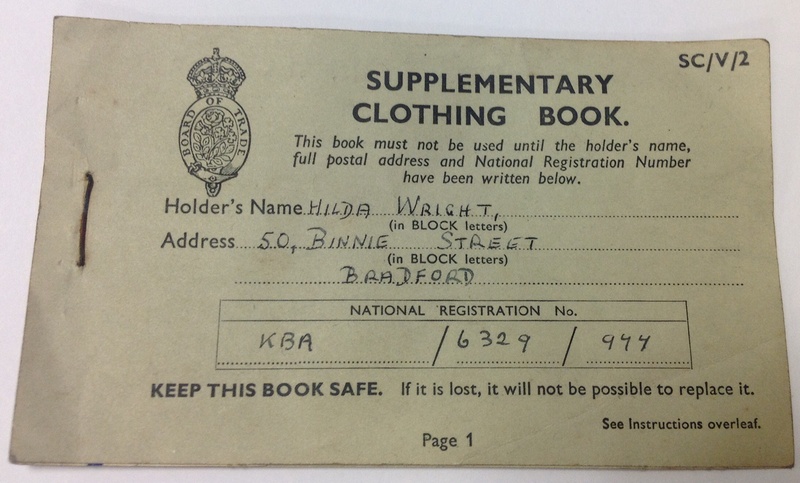 This entry was posted in Binoculars, British Army, Uncategorized and tagged binoculars, Military optics, Nottingham Instruments Ltd on June 14, 2014 by hatchfive.